Covering a high school football game for the local paper, I was alarmed to witness what was for me a first: a JROTC Senior Night ceremony. I shook my head as I listened to repeated future plans to “serve our country” and even one cadet whose interests included “watching the Military Channel.” I wanted to go ask the school’s instructor if he accepted responsibility for every severed limb, lifetime of PTSD or body bag of those impressionable youths who go on to learn the hard way that war is no video game. But my righteous indignation settled on one bare theological fact: those kids are going to need Jesus. And that is why I, as a Pax Christi member, support the chaplains. Look to Jesus’ example. He was present for those who sought him, regardless of who they were or what they had done in the past. It is the responsibility of the Church to share the Gospel with the people. That is why there are missions, and that is why there are chaplains. Don’t cut funding to Fr. Mulcahy! 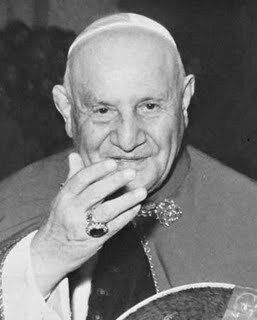 This jolly pacifistic Italian who will have the title Saint in a few months was a chaplain in World War I. Those who take the oath give up civil rights in the process, as they are now required to follow orders without question. They enter a world where sexual assault in the norm. They are brought down to the basest of human instincts and trained to be killing machines. 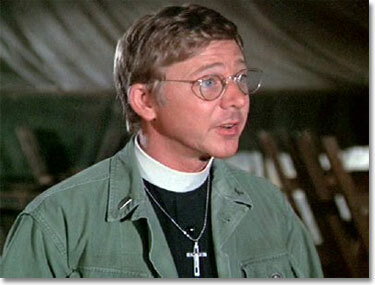 That means that the military needs the presence of chaplains. They are the best demonstration of God’s love in a seemingly godless world. Taking them away by cutting funding to the Archdiocese of the United States Military would serve no purpose other than to promote the very militarism that we are trying to stop. For without God in the military, there is the danger that the military will become a god itself. This entry was posted in Peace & Justice and tagged military, Peace, priest by Dave Montrose. Bookmark the permalink. Dave – I have to disagree with you on this, which is, I’m assuming tied to the collections for Arch. of Military Services, USA this weekend. I agree those in every place need the care of spiritual ministers, including the military. I think the question is, how does one go about doing this in a way that rejects militarism and allows our priests/chaplains to truly minister to the Gospel apart from institutions. I understand your line of thought that by having Catholic chaplains there may be an opportunity to inject morality into war. As it stands, military chaplains are far too tied to the structures — they cannot, will not, or (it seems in some cases) don’t know how to critique the rampant sin committed by a US military that is antithetical to Christ’s call for us as peacemakers. In addition, the US military does not allow for selective conscientious objection — and we have seen in Afghanistan and Iraq and drones and…. that chaplains don’t tell Catholic soldiers to refuse orders and go to jail. They are complicit in sustaining these tragedies by giving soldiers spiritual comfort when really the terrors these soldiers are experiencing should not be given balms in the form of ‘divine’ blessings, but explored as a means to those soldiers’ conversion to being peacemakers and true followers of Christ. We need to rethink how Catholic chaplains can witness to Christ while serving the spiritual needs of those in professions or positions that are not Christ-like. The military is already a god, and chaplains are only the priests who sacrifice young people are age and the many, many civilians worldwide our nation murders on the Pentagon’s altar. Interesting timing on this one: not only is the military archdiocese collection this weekend, but at Mass last night, my parish said goodbye to a longtime altar server who is joining the army on Monday. This is the sort of thing I struggle with. Jesus certainly made–and still makes–himself available to all. I have had military friends and family. I bristle at anyone who would have denied them their own Father Mulcahy, or the equivalent. And I try to resist purism from all directions, including, in this case, a certain expression of the Catholic left. Real life and real situations and real persons–including soldier-persons serving right now, this minute–must be respected as much as noble principle. Otherwise the virtues we speak of begin to lose all concrete, day-to-day meaning. I also take into account that the United States has not waged a “just war” in a long time. And the U.S. military archdiocese–as distinct from the greater Catholic Church–has been uniquely complicit in that. In 2003, Archbishop Edwin O’Brien wrote that Catholic troops could fight in Iraq in good conscience, defying Pope John Paul II in order to do it. In the 1960s, Francis Cardinal Spellman, who doubled as both military vicar and archbishop of New York, was an open Vietnam booster. Again, he was acting as a rogue: Pope Paul VI indirectly but pointedly cut Spellman down in his U.N. peace speech of 1965. I think the armed forces chaplaincy needs to renegotiate something very, very difficult but also very, very urgent: providing care while withholding endorsement.